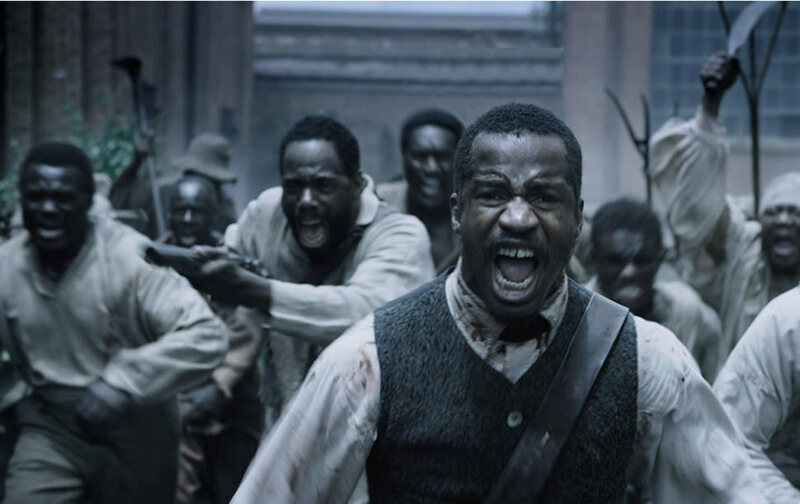 Nate Parker’s new film, The Birth of a Nation, is generating a lot of buzz. The actor best known for his roles in The Great Debaters, Red Tails, and Beyond the Lights, spent seven years making this adaptation of the Nat Turner slave rebellion: writing the script, raising funds, and directing. It premiered at the Sundance Film Festival this week and was purchased by Fox Searchlight for a record $17.5 million. It has become one of the most anticipated films of the year and will certainly end up being one of the most talked about. My first reaction was: What slavery movies? In the past five years, there have been two major releases that have had American slavery at the center of the plot—Django Unchained and 12 Years a Slave—unless you count Lincoln, which managed to be a movie about abolition with very few speaking roles for black people. But that only gets us up to three. Before that, we had Amistad (1997), Glory (1989), Gone With the Wind (1939), and The Birth of a Nation (1915), America’s original blockbuster from where Parker’s film gets its name. So, again, what slave movies? In sheer numbers, there aren’t that many, but Brown’s real argument isn’t about the number of films about slavery in existence. “I’m tired of watching black people go through some of the worst pain in human history for entertainment, and I’m tired of white audiences falling over themselves to praise a film that has the courage and honesty to tell such a brutal story,” she writes. “When movies about slavery or, more broadly, other types of violence against black people are the only types of films regularly deemed ‘important’ and ‘good’ by white people, you wonder if white audiences are only capable of lauding a story where black people are subservient.” Her objection has more to do with the pain of watching these depictions of slavery, knowing that it’s representing a real history of violence endured by people she and I call ancestors. The violence isn’t abstract or hypothetical, and it’s hard to feel entertained by that. And with the paucity of films featuring black people as lead actors (from 2011 to 2013, lead actors were 83 to 89 percent white), writers, or directors (only 5.8 percent of directors of the top-grossing films from 2007 to 2012 were black), it can feel like there aren’t many other stories being told, or at least not getting critical attention in the same way that films with black people’s pain as the main plot device are. And while I understand, I disagree. I want more films about slavery. I want a Marvel Universe of films about slavery. I want so many films about slavery that white actors start to complain that the only roles they’re being offered are those of slave owners. I want more films about slavery. I want a Marvel Universe of films about slavery. I want so many films about slavery that white actors complain that the only roles they’re being offered are those of slave-owners. Not because I have a desire to see the brutalization of black bodies on the big screen—I get more than enough of that from police dashcams and bystander cellphone cameras. I’m sympathetic to the argument of not wanting to see more black pain on screen. I loved both Fruitvale Station and Selma, but I can’t bring myself to watch them again, to cry uncontrollably through the violence and the feeling of helplessness. My desire for more films about slavery isn’t about me and my particular tastes. And I really don’t care if they win the affections of white critics. The reality is that film is how we create American cultural memory, and while it’s tempting to believe that because we’ve had a few major releases recently with slavery at the center, we have some type of canon to draw from, there isn’t. No slavery narrative exists. Sure, as Brown argues, the best way for Americans to learn about slavery would be in books and from experts educated on the subject. That’s true of history, period. And as someone who just finished writing a book (available for pre-order now), my hope is that lots and lots people want to read. But it’s a lot harder to get a million people to read the same book than it is to get 10 million to watch the same film. It doesn’t mean we shouldn’t try, but film is a powerful tool in exploring the human condition. It’s our most celebrated artistic medium and shapes the way we understand our culture and, yes, our history. A large problem has been that the people who write the stories we engage with on the screen have been white men more interested in protecting their power and privilege than being honest. The original Birth of a Nation was instrumental to the way people understood slavery and Reconstruction for decades before its naked racism (the depiction of black men as violent sexual predators, Reconstruction as a period of black political supremacy, the KKK as valiant heroes) was finally out of vogue. But it hasn’t been supplanted with something more accurate. The Roots television mini-series captivated the nation at the tail end of the 1970s, but we haven’t deemed slavery important enough to explore on film in much the same way as we have World War II, and slavery is, arguably, more central to the American identity. I want more films about slavery because America would rather forget. We would rather pretend we know all there is to know about slavery and move on. We would rather act like we understand because we know it happened and that’s enough. But we don’t have any understanding of the economics of slavery, of how the racial caste system was built, of who was complicit in its maintenance, of how it defined our politics, of how it ended. The films about slavery that we have now barely scratch the surface on any of these issues. We basically just think it was a mean thing to do to people. Can a slate of slavery films completely solve this problem? Absolutely not. It would be foolish to think so. But as slavery gets pushed further and further out of our cultural memory by politicians and pundits who dismiss the institution as ancient history not worth discussing (while that history continues to be distorted), then a new cultural memory needs to come into place. I believe film is a place to build it. Of course, let’s have black people making all kinds of movies. Let’s see black people in all kinds of roles, in front of and behind the camera, in pre- and post-production, in publicity and marketing, at award shows. I’m down for all of that. But films about slavery—lots and lots of films about slavery—should also find their place.